Reports in the US media say President Trump is considering a plan to sack his Secretary of State Rex Tillerson. Trump met the Crown Prince of Bahrain on Thursday, but at the end of their press briefing the urgent questions were about Tillerson. Watch the video above to see how Trump batted off repeated questions about Tillerson, with the president only replying 'Rex is here'. 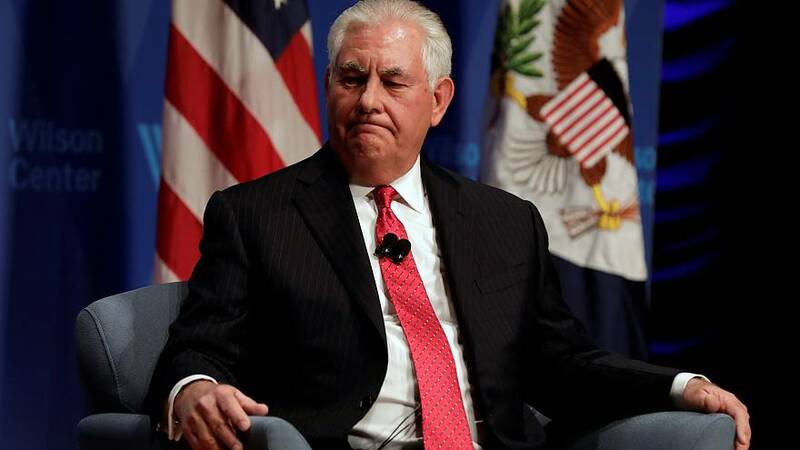 US media cite administration officials as saying that Tillerson is set to be replaced by CIA director Mike Pompeo. Tillerson has had a strained relationship with Trump on various issues.